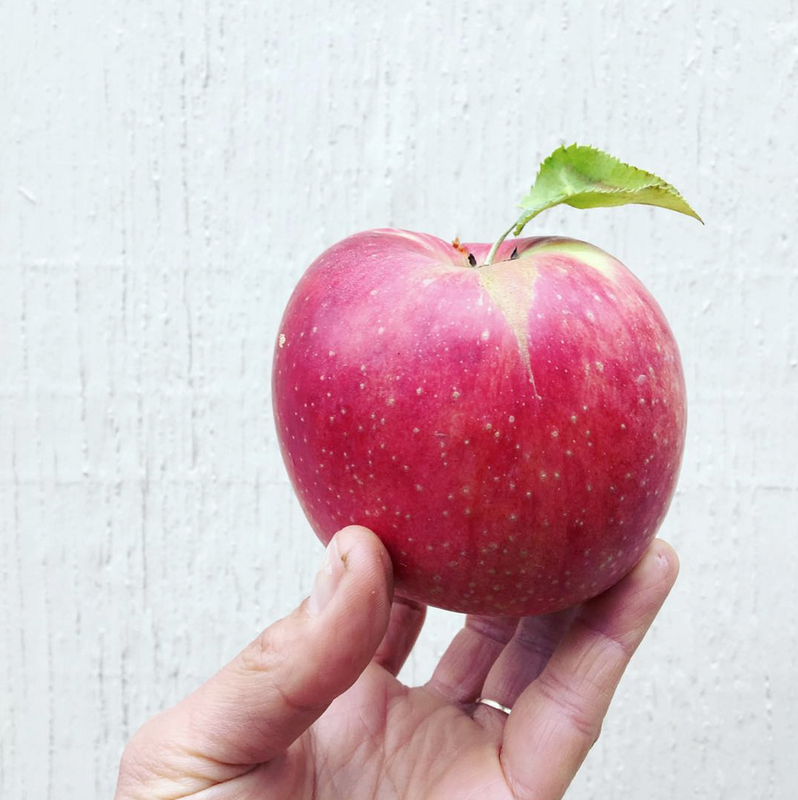 Traditional Apple varieties are the start of a proud lineage. Their genes can be traced forward to many Modern Apple Varieties. 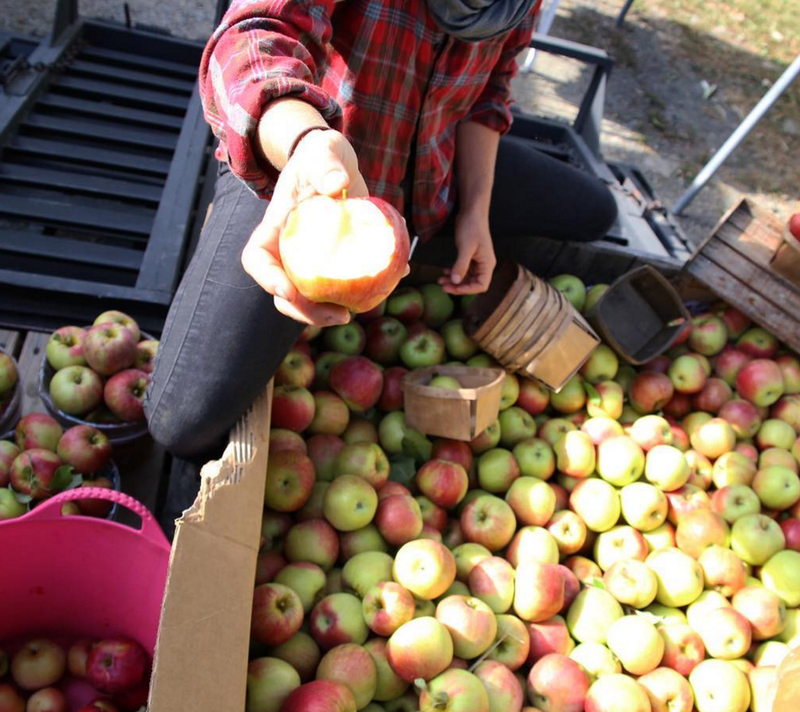 McIntosh has been around since 1870 and has passed on its great genes to Cortland, Empire and Macoun. Golden Delicious has passed her genes onto so many apples, she should be called the Grandmother of Apples. These apples may not be as popular as the newcomers or as unique as the antiques, but there is a reason they have been around for so long. They are tried and true. There is always something new and flashy with Modern Apples. More varieties of apples are introduced every day. It is hard to keep up! But, these new varieties do stir up a lot of excitement. For example, the Crimson Crisp. This apple is the result of five generations of breeding specific apple cultivars to be more disease resistant. Crisp, slightly tart and great keepers. When my husband picked the first of these apples, he called me to say, “If this was the garden of Eden and this was the apple, I would sin”. We can’t say more than that! Consumers are generally less familiar with Antique Apples because of the massive decline in variety when we started shipping food long distances. But, what an Antique Apple lacks in transportation heartiness, make up for in rich, bright, and unique flavor. These are the apples your grandparents and parents remember as if it were a dream. Each years first harvest is like sitting down with an old friend. 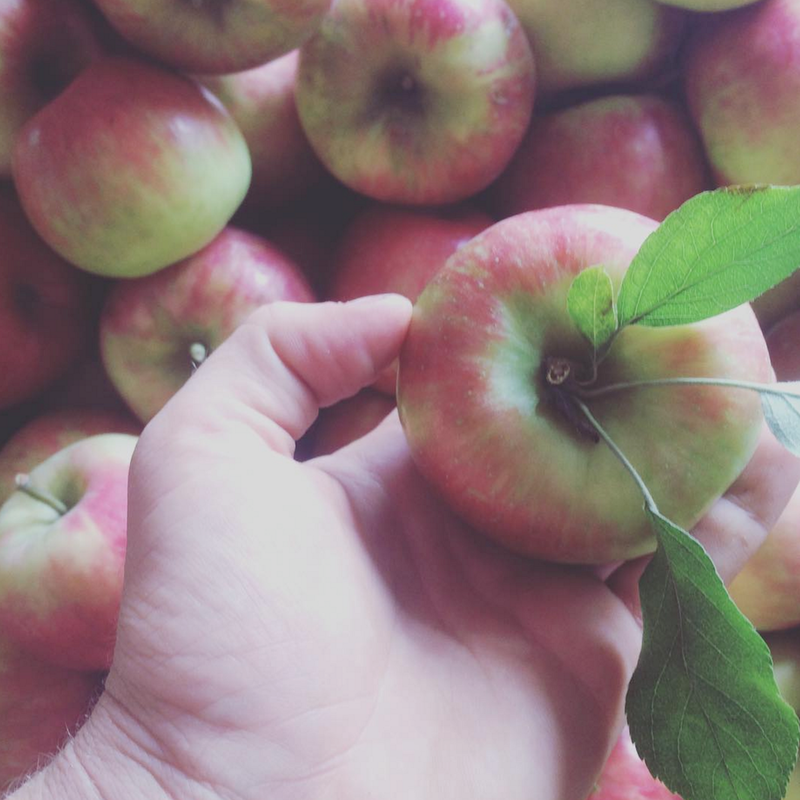 There are close to 70 varieties of apples are grown here at Montgomery Place. This is because my husband loves apples and especially loves hard cider. About 20 years ago, Doug decided he was going to make his own Hard Cider and he wanted to grow his own apples to do that. This meant planting some older apple varieties. Though we did have a start because in 1988 we had planted 10 Cox’ Orange Pippin, 10 Golden Russet and 10 Newtown Pippin. 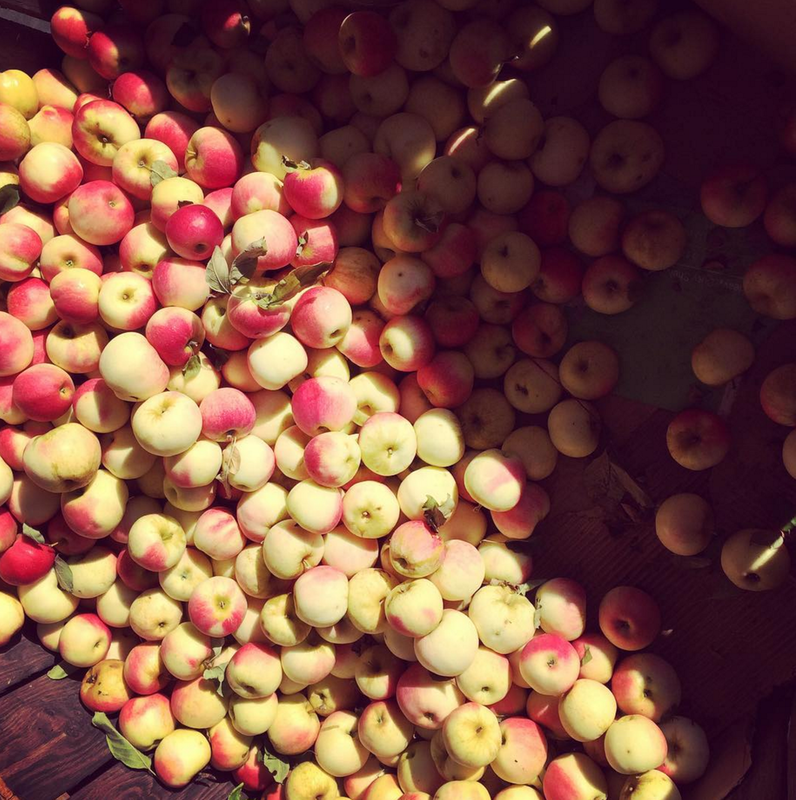 We spent winter nights by the wood burning stove, heated with apple wood, drinking hard cider and reading about older apple varieties. Our favorite books are Beach’s two volumes of “The Apples of New York” and anything written by L. H. Bailey. More recently Rowan Jacobsen has a fantastic book called “Apples of Uncommon Character” that we refer to so much. Each apple had a story and we felt like we wanted to get to know each one of them. Before we knew it, we had 70 varieties. 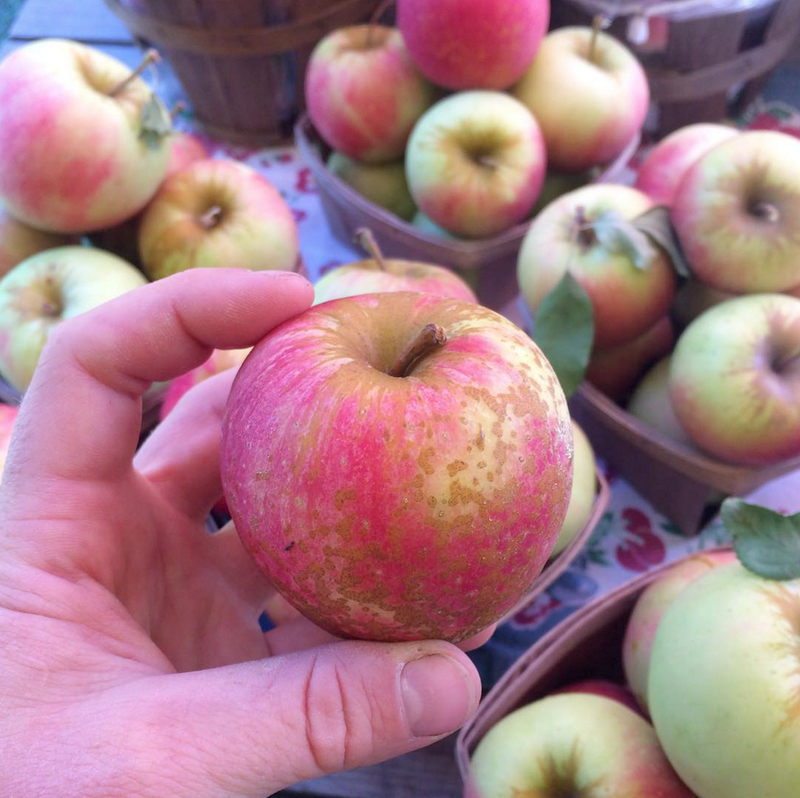 It has been so much fun to bring back many of the varieties of apples that were grown here in the Hudson Valley over the past 200 years as well as introducing new experimental varieties that have been bred for improved taste, quality and natural resistance to disease.